The RJD chief said the settlement of the dispute meant the future of Uttar Pradesh is bright. PATNA: Rashtriya Janata Dal (RJD) president Lalu Prasad Yadav expressed happiness over Samajwadi Party supremo Mulayam Singh Yadav’s decision to revoke the expulsion of UP chief minister Akhilesh Yadav on Saturday. "I am very happy that the dispute has been settled after a meeting between Mulayam Singh Yadav and Akhilesh Yadav," Prasad told reporters. He congratulated both Mulayam Singh Yadav and Akhilesh Yadav for resolving the dispute. Prasad said the settlement of the dispute meant the future of Uttar Pradesh is bright. 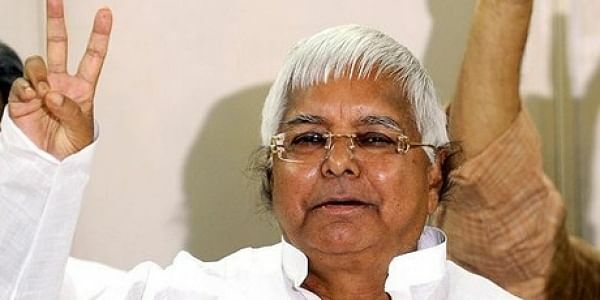 Reportedly, Lalu Prasad Yadav had spoken to Samajwadi Party supremo Mulayam Singh Yadav and his son Akhilesh Yadav over phone, to facilitate a patch-up between them and advised both not to fight the upcoming UP elections separately. "It is my duty besides being a relative. As a politician, I feel the rivals should not gain from the infighting,” he added. Prasad has family ties with SP chief as his daughter is married to Mainpuri MP Tej Pratap Yadav, grandnephew of Mulayam Singh Yadav.